California hand-picked olives have a delicious butter flavor. They're tree ripened and home-style cured. These taste just like the olives my grandfather always cured; I never thought I'd enjoy this taste again! Our entire family loves these buttery, nutty, salty flavored olives. They aren't marinated in vinegar they are plain like the black olives we buy in the grocery store,but oh so much better. Our grandchildren put one on every finger at holiday get togethers!! on 3/12/2010 one of my all time favorites!! 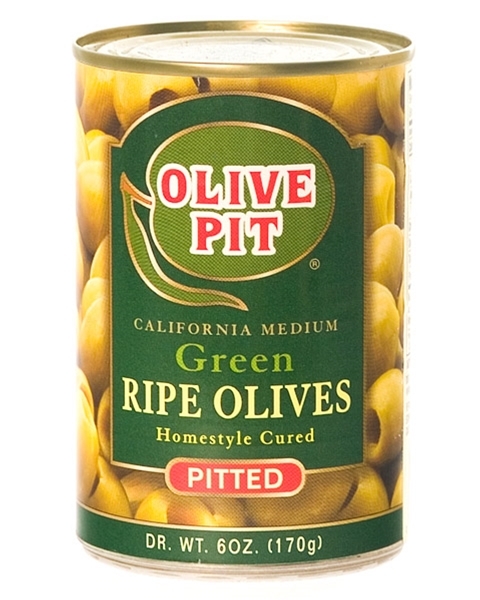 This kind of olive was a Thanksgiving treat growing up, and I am so glad to find it again at Olive Pit! I adore the ripe green olive taste. Instead of tangy or zesty, these have a mellow almost nutty taste. I really enjoy the flavor of the olive and can eat an entire 6 oz at a time by myself! A change from the expected "green olive" taste and quite delicious! I was given these olives as a gift. They are amazing!! They have a firm buttery texture and are not marinated. I am now hooked. I get a craving for them. They are like no other olives that I have tried.